There are four bedrooms, main bedroom has a queen size bed and its own en suite. Bedroom two has a double bed, Bedroom three has 2 single beds and plenty of storage. And bedroom four has another 2 single beds. All rooms are a good size. The laundry has a washing machine and a dryer. All towel's and linen is provided. 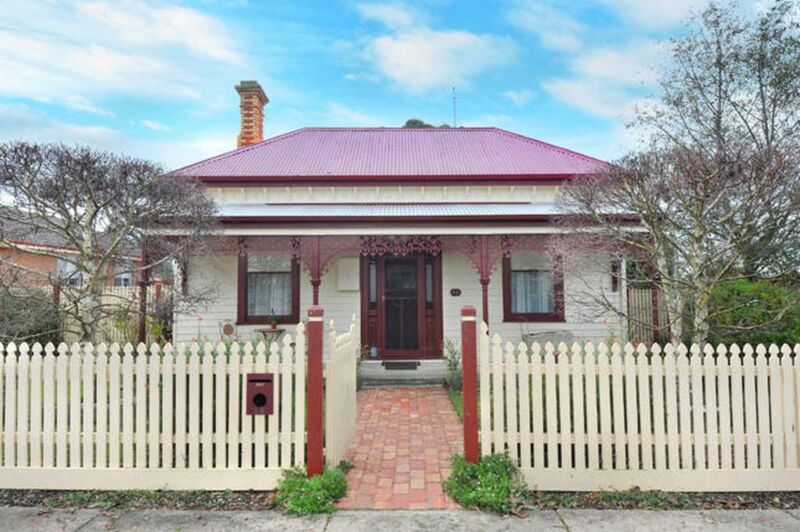 Situated in a quiet street close to Ballarat city and local attractions. There are supermarkets such as Woolworth's and Aldi,s close by. With some good takeaway shop,s also within walking distance. And it is only 5 minutes drive to the city center. Coffee, tea, sugar is provided also s few pantry items for you to use. A fee of $ 25 applies if two guests require separate queen bed room and double bed rooms. Also it is advised to park your vehicle inside the property of a night. For stays longer than two weeks a full clean and linen change will be provided. Absolutely beautiful home. There was a lovely bunch of fresh picked roses on the kitchen table when we arrived. Filled the whole house with their scent. Great BBQ area, which we utilized in the evening as it was so hot. David and Catherine we the most gracious hosts, making sure we had everything we needed for our stay. Had everything we needed. Super comfortable and inviting. Enjoyed our stay. Stayed with my wife, 8 year old daughter and 7 year old son. All loved the place. Nothing to fault it. Took in Sovereign Hill, the Ballarat Art Gallery and the Botanic Gardens in a weekend and this was a great base. We had a very comfortable stay at David and Catherine's house. It was very warm and cosy, the beds were comfy and the house had everything we needed. David and Catherine were also very attentive. Would highly recommend if you are staying in Ballarat. What a beautiful place! Nothing has been spared here to ensure elegant and comfortable accommodation. My husband and I stayed here for three nights in early August, having travelled from Sydney. It was such a delight to open the front door on a chilly Ballarat afternoon and find a warm house had been left for us. We wandered from room to room, marvelling at how beautifully each one was decorated and presented, and trying to decide which we would sleep in. There was just the two of us, but this gorgeous home would have been perfect for our whole family of four adults and four children. The kitchen is huge and was well-stocked with grocery provisions for breakfasts. I even received a message from Catherine before our arrival to ask what type of bread we prefer. Now that's hospitality! Everything was top notch: linens, bed coverings, towels, cutlery and crockery. Many extra thoughtful touches as well, such as DVDs, books and magazines, and children's toys. And the entire home was absolutely spotless. The location is a few kilometres out from the central district and the street is very quiet, which suited us down to the ground. This was our very first experience using HomeAway, and it was brilliant. Hats off to our wonderful hosts.